You want to hire the best, most qualified applicant for the job. What you DON’T want to do is ask questions that are inappropriate or downright illegal — and put your company at risk. According to the lawsuit, a retired law enforcement officer who was pursuing a job with Grisham Farm Products was told he’d be considered only if he completed a three-page health history form with his application. Among the many health-related questions, the pre-employment form requested information that would indicate if the applicant had a disability — a clear violation of the Americans with Disabilities Act (ADA). Further still, the form didn’t comply with the Genetic Information Nondiscrimination Act (GINA), which prohibits employers from obtaining genetic information, including medical histories. Because of these illegal actions, the EEOC is seeking monetary relief and requiring the employer to establish policies and practices to prevent future discrimination. The takeaway here? You must be extremely cautious in your hiring process to avoid discrimination — whether intentional or accidental. This means using a federal and state-compliant job application to collect pre-employment information. In fact, a legally sound job application is a vital first step to fair and non-discriminatory hiring. You must be extremely cautious in your hiring process to avoid discrimination — whether intentional or accidental. It’s perfectly acceptable (and, in fact, recommended) to have every candidate complete a job application — even if you’ve already received a resume. Whereas resumes aren’t standardized, applications help you gather the same information, asked the same way, from all applicants. 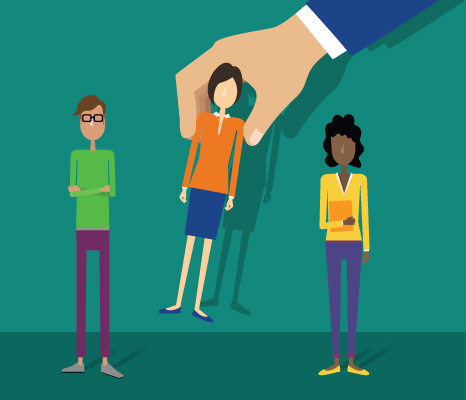 This consistent approach goes a long way toward protecting you from claims of discrimination. While the application can include targeted questions about a person’s background and qualifications, the questions must protect the applicant’s privacy and employment rights. A job application should never include questions that reveal gender, age, race, religion, national origin, disability or marital status. To date, 31 states and more than 150 cities/counties have passed laws to reduce hiring barriers for individuals with criminal histories. 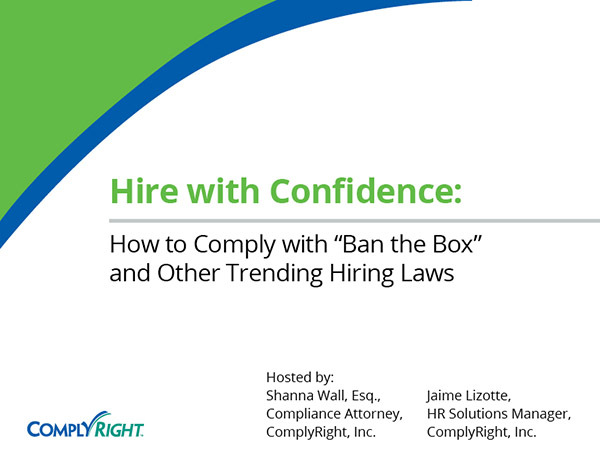 Called ban the box for the question on job applications, “Have you ever been convicted of a crime?,” the laws restrict you from asking about an applicant’s criminal record until the job interview — or, in some cases, after you’ve made a job offer. Please note: Relying on generic job applications, which are widely available through HR forms sites and providers, can be a problem. These “one size fits all” forms often overlook ban the box and other state-specific requirements. With the Job Application Smart App from HRdirect, however, you can be confident you’re working with a fully compliant, state-specific job application. It includes questions prewritten by attorneys and HR experts, so you’ll never ask something that could get you in legal trouble.